At Cowell's like everyone else, we can see that the climate around us changing, and we believe that companies like ourselves have a role to play in helping to reduce climate change and minimise the ways our business can affect the environment. Some of the changes we want to make are simple, we recycle what we can, we have cut down on waste and we try to buy what we don't produce ourselves ethically. Cowell's want to be as environmentally friendly as possible. Cowell's want to trade fairly and ethically. Cowell's want to ensure no one is exploited in producing the products we buy and sell. Cowell's want to keep our environmental policies up to date and will review them annually. Cowell's want to play a role in developing our local community. Cowell's want to be a good and fair employer. Cowell's want to trade locally and nationally where possible and help other local businesses to thrive. AFK take their carbon footprint very seriously. So much so that this year they have committed to planting 500 trees to offset their carbon emissions. They recycle all of Their waste products including wood, plastic and metal which are converted into a range of diverse products such as animal bedding and wood pellets for heating boilers. Wherever possible we use materials that have been sourced from sustainable forests. Our Karri range is proud to give you the reassurance that all the timbers have been selected from well-managed forests. A dense, close-grained hardwood with a lifespan of more than 10 years. Our Karri is sourced from South Africa. Treated, it retains its original, reddish brown colour. Left untreated, it mellows to a silver grey colour. As with all Alexander Rose furniture, we recommend an occasional clean. To enhance the appearance of the furniture, we recommend using our Alexander Rose Timber Treatment Plus and Timber Sealer. This well-known premier hardwood has all the natural characteristics needed to create highly attractive and durable garden furniture. With our commitment to environmental sustainability, only mahogany from Ghana is used, which is committed to sourcing its timber from well-managed forests. Mahogany has a durability outdoors in excess of 12 years. It can be left untreated, allowing it to mellow to a silver grey colour. Cowell’s recognises that peat bogs provide a unique habitat for flora and fauna and important stores of carbon. Our aim is to manage, minimise and eventually eliminate our peat use in a controlled manner. We will use declining amounts of peat and we will continue to ensure that it has been extracted with the minimum amount of environmental impact, and we will not buy or sell peat that has been extracted from designated. conservation areas, such as Sites of Special Scientific Interest (SSSIs). 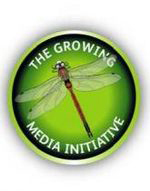 All growing media sold by Cowell’s shall comply with the HTA's Growing Media Initiatives Peat Sourcing Policy.